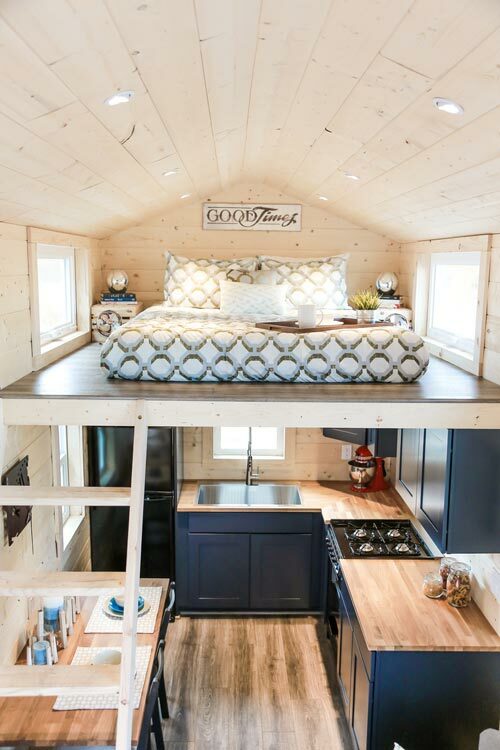 Having a tiny house may be problematic. You have to save the space, including the space used for the kitchen. On the other hand, you really want to build a thematic kitchen that suits you and give you energy every time you intend to cook. 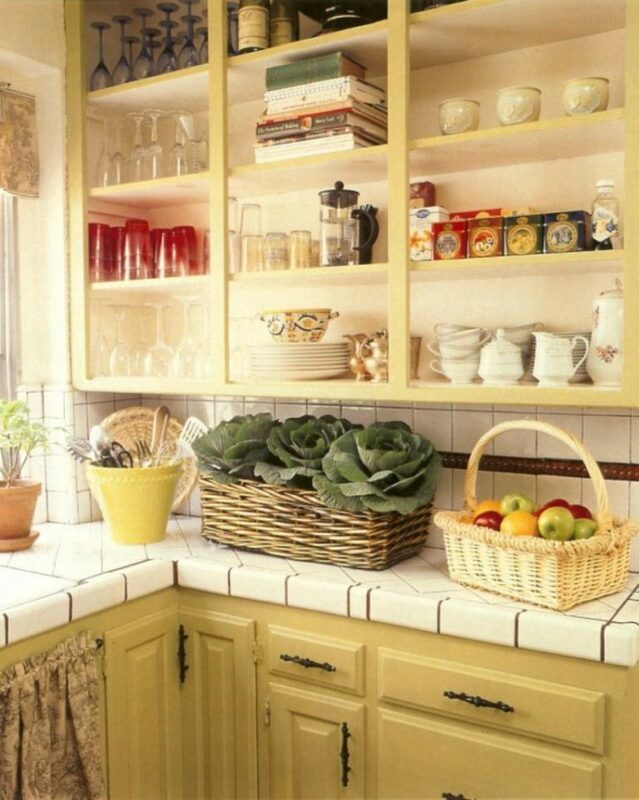 But there will always be wonderful small kitchen ideas that can be applied to your tiny little house. Not only gorgeous, these small kitchen ideas will make your house more spacious even though what you have is maybe only a studio apartment. So, are you ready to have a well-functioning kitchen and make the cooking activity as the center of your life? 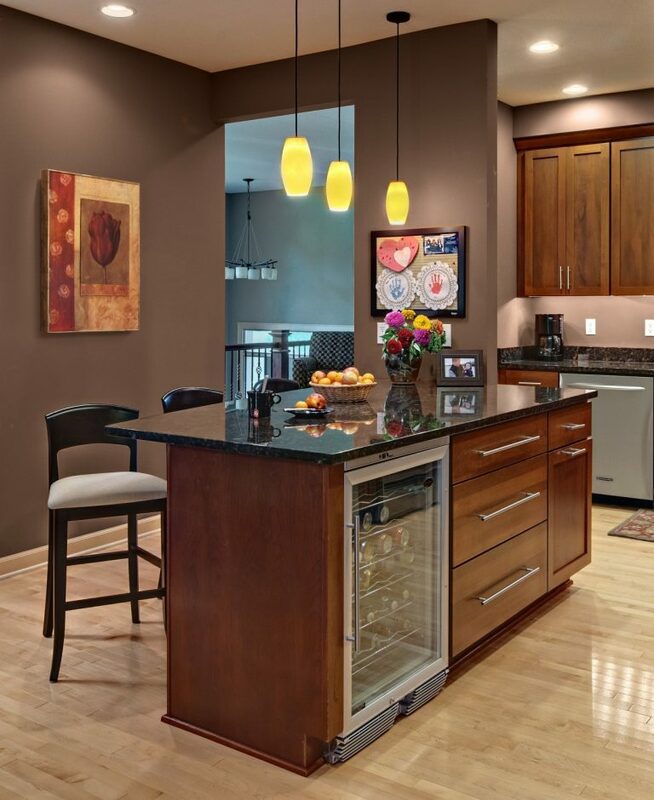 Let’s take a look at these marvelous small kitchen ideas! Are you running out of space, but you want to have a house with a gorgeous kitchen like a professional chef? Why don’t you try to build a small kitchen under the bedroom? Actually, it is not a real bedroom. Perhaps you can call it a loft-bed, and usually, it is applied in a studio apartment. In a space left under the loft-bed, you may not have a kitchen island, but you can have two little cabinets, the sink, and a small space to put the stove. Under the cabinet, you can stick an exhaust to prevent the smoke goes up into the bedroom and make the ambiance so stifled. 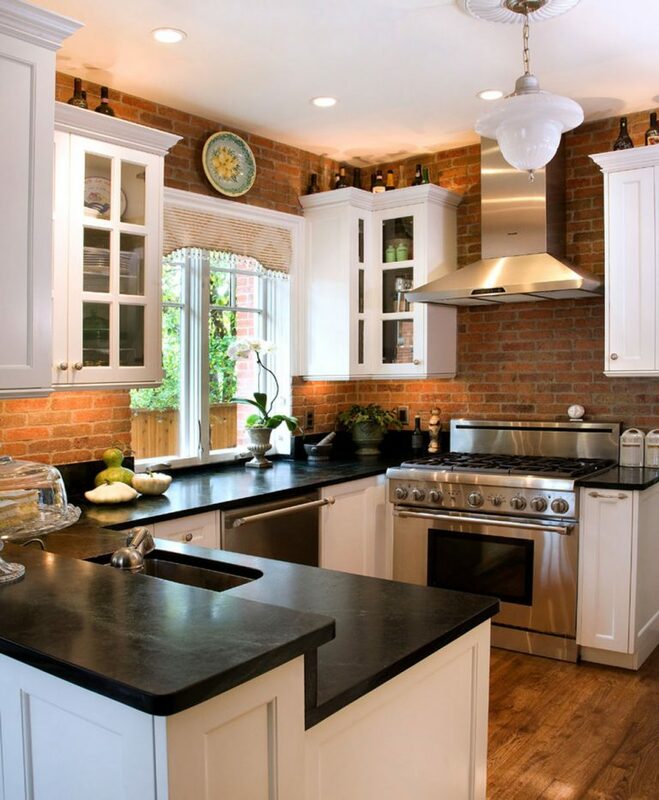 What differs the modern Paris kitchen style to other kitchen styles, including American style? The kitchen of Parisian always has that natural light that comes from a large window, that is why the kitchen looks larger than it shall be and the day is always sunny there. Such a good thing for small kitchen ideas. The color of the kitchen usually dominated with white and soft colors, the concept is minimalist and Parisians mostly put a washing machine in their kitchen. It is effective to save the space, moreover if you live in a tiny house or the studio apartment. But remember not to spoil the foods over that clean clothes. 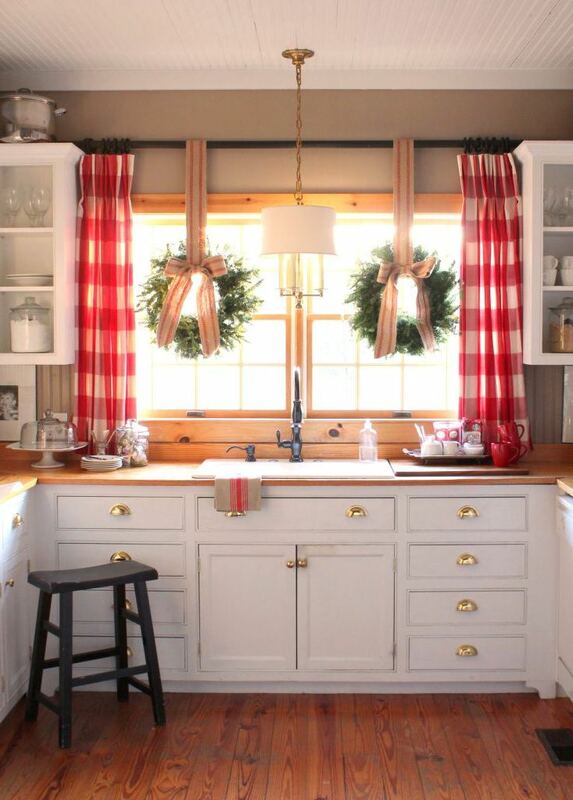 The important point of having a farmhouse kitchen is to give some natural touch such as rustic cabinet or decoration. Avoid using colorful or too complex motive in the backsplash, since farmhouse kitchen is identical with that dull and white color to enhance the natural ambiance. Instead of having a floating cabinet, to get some traditional looks, use the open shelves to put your cooking equipment and the ingredients. 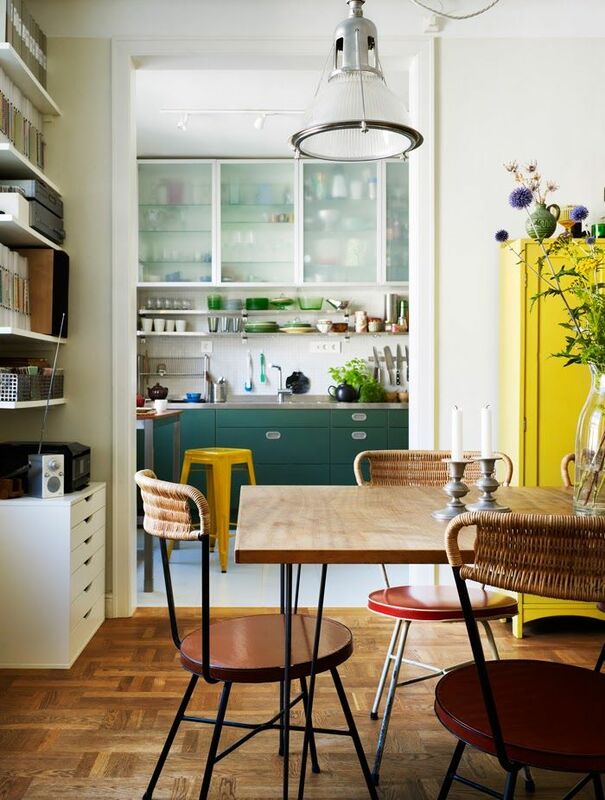 If there is a small space remained, you can use it to put a handcrafted table and one or two handcrafted tiny chairs. This is the kitchen concept commonly used by the urban people. In a monochromatic themed kitchen, there won’t be any colorful backsplash and you can just have maximum two colors there, usually black and white. If you want to add some textures in the backsplash, you can choose the subway tile so the kitchen design will remain neutral like the way it shall be. 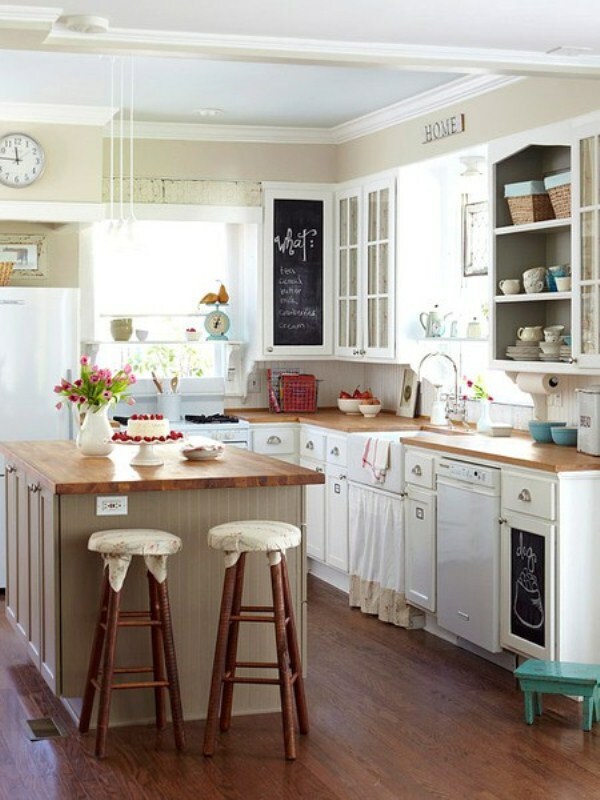 If your kitchen is tiny, use white color as the main color, since any room dominated by black color will seem narrower. 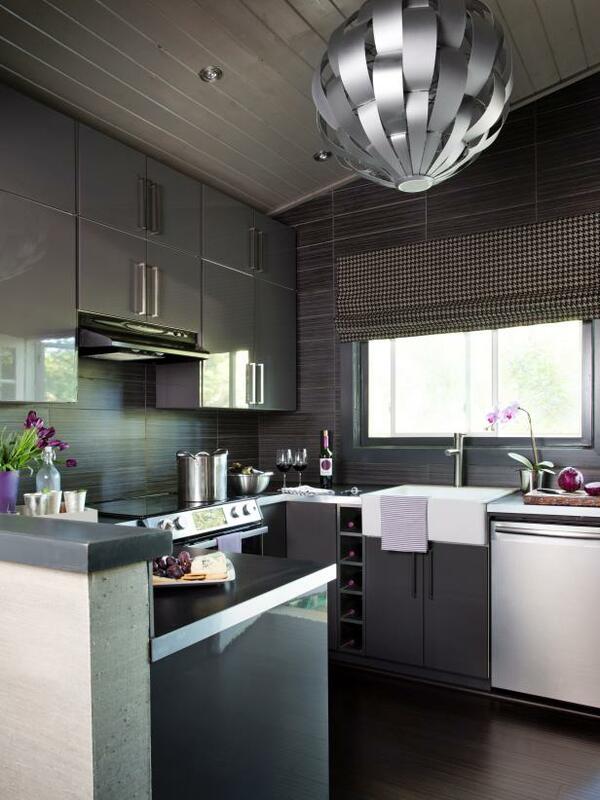 If you want to apply dark color there, apply it in the countertops. You can use the marble countertops to make the kitchen looks more lavish and modern. 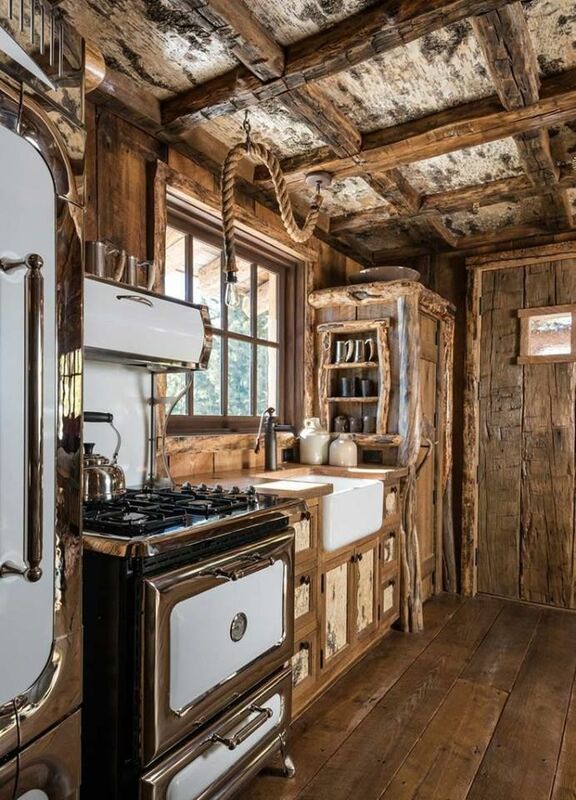 The log cabin kitchen usually dominated by stone and wood, which will accentuate the warm ambiance there. Without using too much and tight floating cabinets, the kitchen will look more spacious, which is good for small kitchen ideas. Applied to the modern house, you do not have to use vaulted ceilings there (although the vaulted ceilings will be a great and unique touch there!). Still, you can keep the warm looks by using the honey wood for the four to eight bar windows in front of the sink, and black color for the countertops. Choose the hanging shelves to put the equipment instead of closed floating cabinets. Who says that you cannot teach your kids to learn cooking in the tiny house kitchen? You can build a cute kitchen that suits both of adults and children. No, you do not have to put all the cute elements such as cartoon wallpaper or toys on the table, because it will disturb the cooking activity and you don’t want it to happen to you. You can use monochrome colors such as bright white, a colorful carpet, and tiny cheerful curtain for the window. Give the pops of bright blue color or bright pink so that your children will be so happy to be there. And you can pick some playful frames for the hanging lamp. A good kitchen doesn’t always come with big and wide size. As long as you don’t put too many things and unnecessary furniture there, and as long as you know the small kitchen ideas that not only make your kitchen seems spacious but also make it more suitable for your character, then your kitchen will be such a heaven, at least for you.